In the fourth installment of the R.E.A.L. 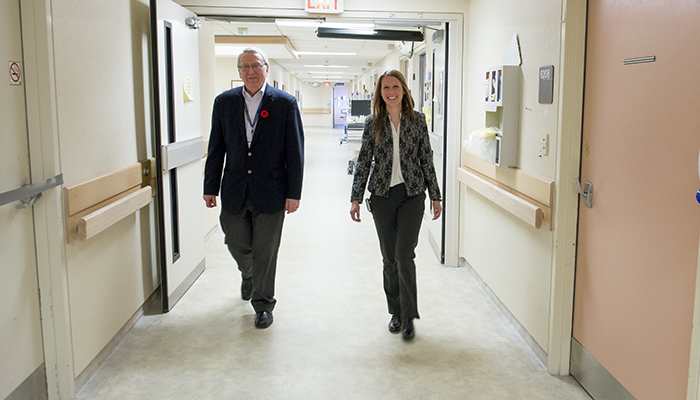 Life Perspectives, we follow faculty member and neurologist Dr. Bryan Young and Family Medicine resident Dr. Lauren Bouillon at Grey Bruce Health Services in Owen Sound. 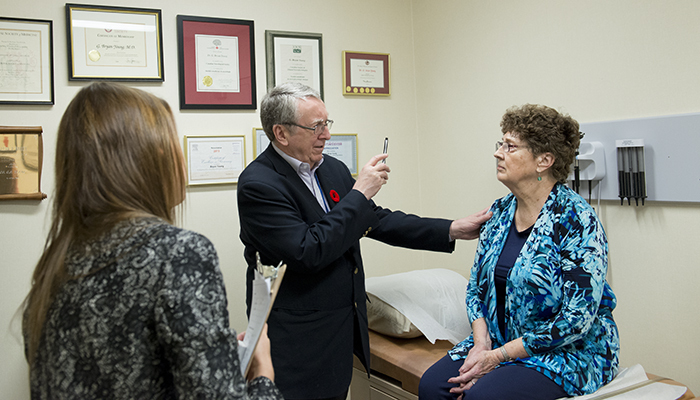 Dr. Bryan Young has been practising neurology in Owen Sound for four years. 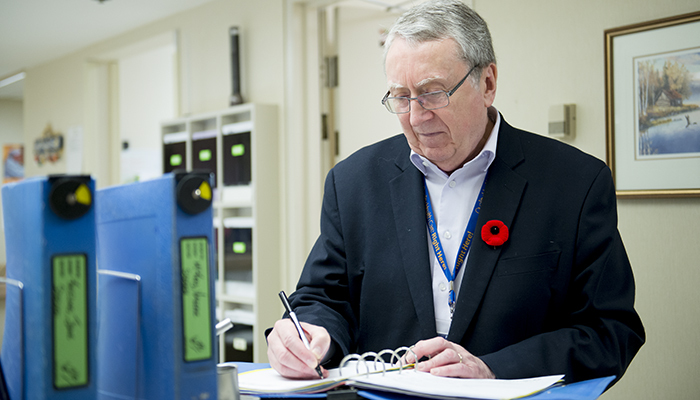 Prior to moving to the Georgian Bay community, he worked for 30 years in London, Ontario with London Health Sciences Centre. Dr. Young is also an Associate Scientist with the Lawson Health Research Institute. 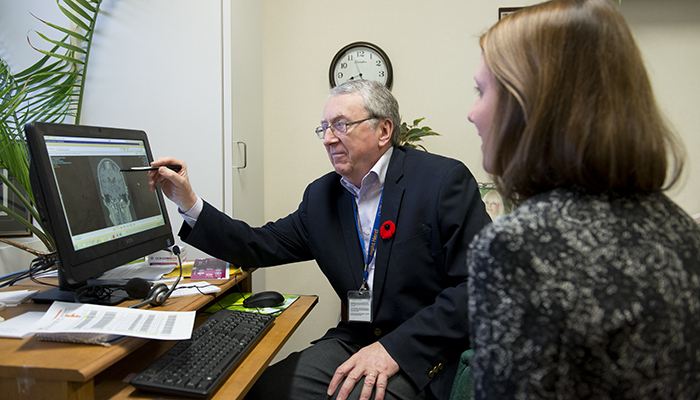 Dr. Lauren Bouillon is a first-year Family Medicine resident with Schulich Medicine & Dentistry's Rural – Hanover Program. She completed her medical degree at the School in 2017. 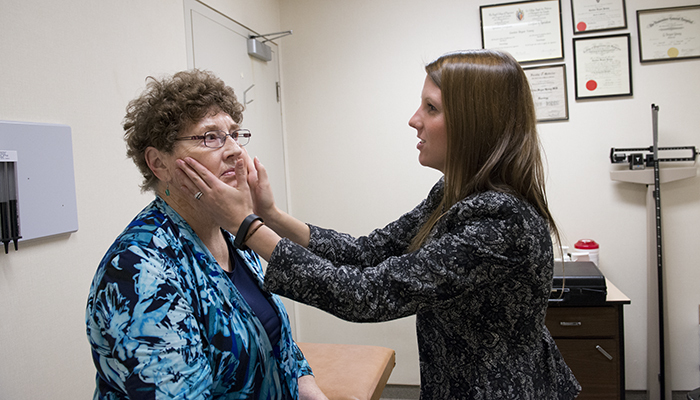 Her placement with Dr. Young was part of a four-week Internal Medicine rotation. Owen Sound Hospital is the largest of six hospitals operated by Grey Bruce Health Services (GBHS). It offers regional specialty services across the ares, including complex surgeries, total joint replacements, cancer surgeries and imaging services. 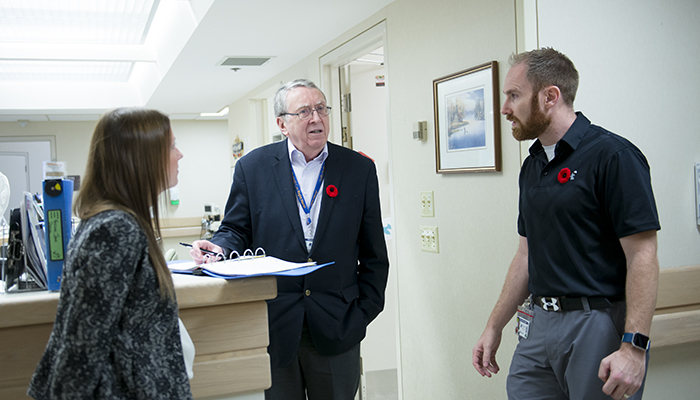 Neurology services at GBHS cover a catchment area of approximately 150,000 people, and emergency cases from the region are transported to the Owen Sound site. 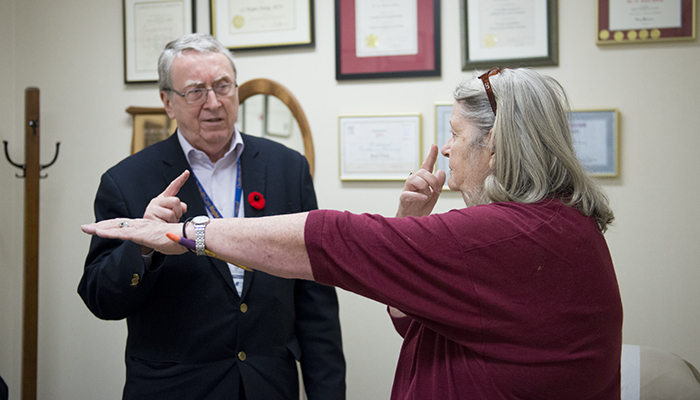 "Anything can come through the door," explained Dr. Young. GBHS is part of Schulich Medicine & Dentistry's Grey-Bruce Academy. 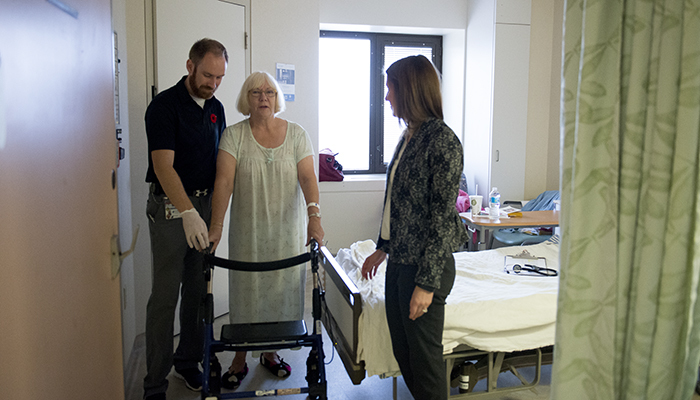 Distributed medical education at the School takes place in more than 60 communities across Southwestern Ontario. Through these types of rural and regional experiences, trainees gain unparalleled exposure to patients, health systems and health challenges. Thank you to Dr. Bryan Young, Linda Chambers and the team at GBHS for your assistance and support with this project. The opportunity to train in Owen Sound was extremely rewarding on many levels. I have always known I wanted to practice in a rural community, and this experience confirmed that. From the outset, I was greeted warmly and treated like a colleague. 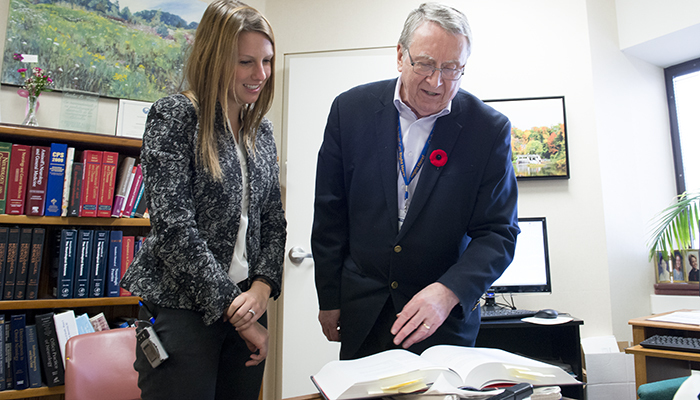 Dr. Young is the epitome of what rural medical education should be. He is such a distinguished physician in many ways, yet humbly treats learners as his equals and engages them in every step of patient care. I am so grateful for the opportunity to work with and learn from Dr. Young. 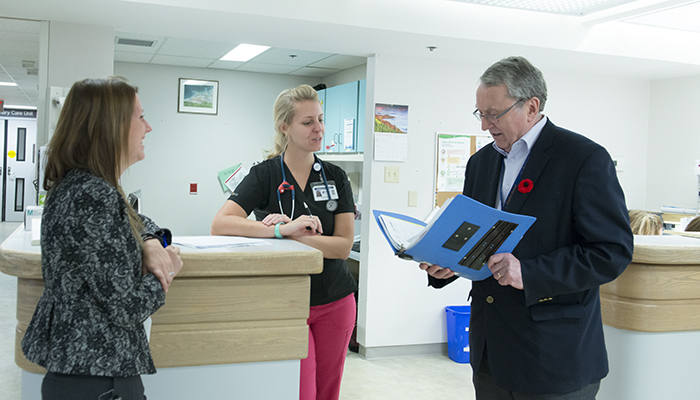 For me, the most unique aspect about working in rural communities is the camaraderie that exists between all specialties – everyone is so willing to share care of a patient or offer an expert opinion. 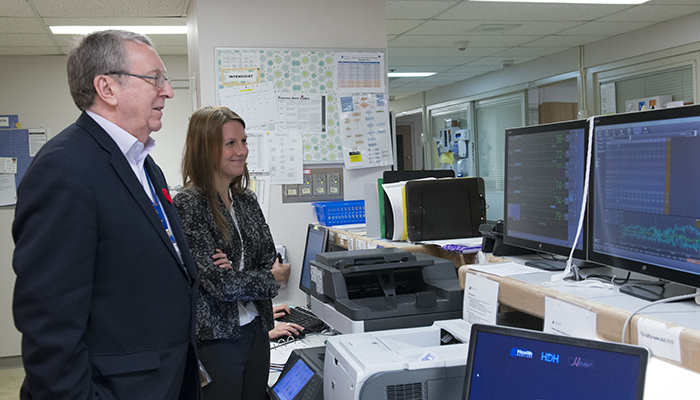 It is nice to be a part of such a warm, friendly environment, which also facilitates optimal patient care. Exposing learners to rural contexts early and often while in medical school and residency provides a better understanding of the opportunities and the realities of rural practice. Rural training is an excellent opportunity to improve clinical decision-making and management tools, as well as hands-on training. Often, there is only one learner assigned to each service or specialty, which allows for one-on-one teaching, as well as more independence and the development of problem solving skills. 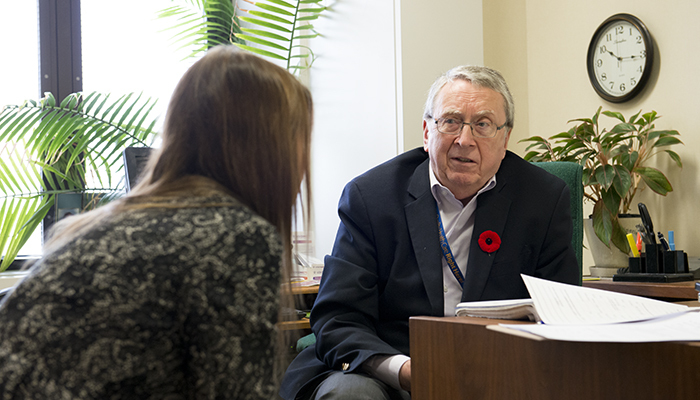 Students and residents quickly learn to collaborate with the rest of the health care team, as everyone has something unique to bring to the table. My experience training in a rural environment has allowed me to learn and acquire generalist competencies within a rural context. What I love about rural medicine is the close-knit community and unique relationships you form with patients across many dimensions of their healthcare. I look forward to a career in rural family medicine, where I can utilize my skills learned in the rural setting, while feeling supported by the countless health care members who I have met along my journey here in Owen Sound.